Hey, remember this series? We’ve got a few excellent Randonneur Q&As in the TDR pipeline, and tonight we’re heading back out west to feature Rob Hawks of the San Francisco Randonneurs. Felkerino and I had the pleasure of riding quite a few miles with Rob a couple of months ago during that famous bike ride known as PBP. It was great! Congratulations, Rob, on your successful PBP completion and thank you for being part of our Rando Q&A. 1. When did you start randonneuring? I started in 2004 when I was able to join a friend’s Fleche team. In 2005 I started doing the brevets and completed my first Super Randonneur series that year. In the late 1990s and early 2000s I had begun to ride Double Centuries here in California. There is a very strong Double Century circuit here, and the California Triple Crown series sort of ties all of those together. Riding Doubles was the next step up from the local century and club ride level. Around about 2003 I noticed a lot of my riding friends sort of disappear in the early part of the year from the Doubles circuit. I found out that they were riding brevets and many of them were preparing for PBP. California has always sent a large contingent of riders to PBP so there would be a lot of people ‘missing’ from the Doubles. Later in 2003 and in 2004 I would hear all number of PBP stories so of course I was intrigued. 3. What is your home club? I am the RBA for the San Francisco Randonneurs (SFR), and I’m also a member of the Berkeley based Grizzly Peak Cyclists. The neat thing about those two clubs is that back in the 1980s and early 90s Grizzly Peak was the organizing force behind the PBP qualifiers. This predates RUSA of course. Some of the routes used for those brevets later became somewhat regular club rides for GPC, and then in 2008 I took the 200km route and submitted it to RUSA and we rode it on the RUSA 10th anniversary weekend that August. 4. 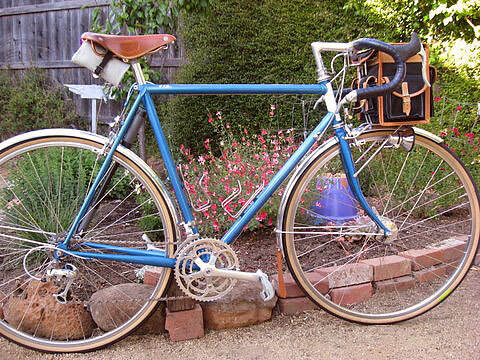 What is your favorite distance of the Super Randonneur series (200, 300, 400, 600K) and why? I absolutely don’t have a favorite distance. Of course I’ve done more 200km rides than any other. SFR over the last two years has hosted 200km brevets nearly all through the calendar year and this complements the RUSA R12 award which a lot of riders shoot for, and it also appeals to all the newer riders that have been coming to SFR events in the last two years. 5. 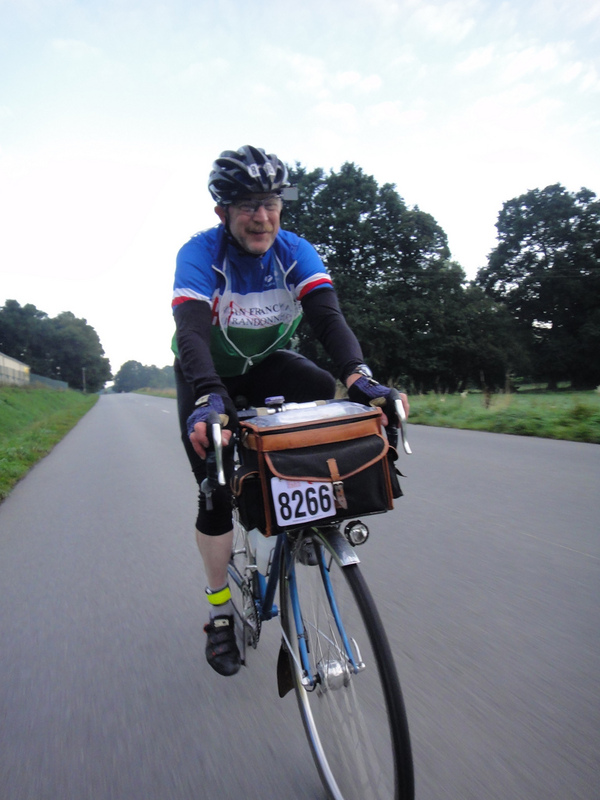 Which distance do you find the most challenging of the Super Randonneur series and why? I’ve had the most trouble with the 600km distance. My first 600km was 50% fantastic, 30% a nightmare, and then the last 20% was fantastic again. That 30% was a learning experience though with the chief lesson that there will always be high spots later on in the ride. It doesn’t always stay bad. My 2nd 600km was a struggle as I had serious stomach troubles for 36 hours. My 3rd, 4th and 5th 600kms each were better than the last though and all three of those were great rides. I’ve had bad luck with rides over 600km, getting ill timed colds on most of those. All that turned around last year when I had the best brevet of my life on the Santa Cruz Central Coast 1000km. That was the most fantastic ride. Beautiful scenery, challenging course, great, great company. 6. If you have done 1000Ks and 1200Ks, what do you like about them? The 200km distance can really separate riders across a spectrum. The longer brevets can often negate that separation. I’ve seen riders that finish mid pack and at the back on 200kms often finish together on 1000 or 1200kms. The California 1000 or 1200 kms I’ve attempted have been set in really wonderful locations. The Davis Bike Club’s Gold Rush Randonnee is in the Sierra and every bit as scenic as the Big Sur Coastline where the Santa Cruz 1000km goes through. 7. What is it that you love about randonneuring? That is, what keeps you coming back ride after ride? What hooked me at first and continues to be the strongest pull is the company I have ridden with on brevets. There are so many stories to hear and to tell. What is better than being on bikes, talking about bikes and bike rides with other bike riders for 8-40 hours? 8. What constitutes a “good ride” in your view? I feed on the enthusiasm I see in riders at the finish of rides, particularly when they are new to randonneuring. It was there for me when I first started so I know exactly what they are feeling, and I still get that same feeling when I near the finish of an epic ride. I’m not fond of riding in the rain, but that is where most of the epic ride stories come from. 9. What are the qualities you think a randonneur has to have to be successful? I think any randonneur that can connect into that community feeling I see so much of on brevets is a rider I know I’ll see back for the next brevet. 10. How do you define successful? This is going to be so different for each brevet I ride. An example of that would be the recent over night 200km that SFR held. I hooked up with a friend just before the 1st control and we then rode the next 200km (the route is 230km) together. Toward the end he began to fade a little. Extra hours at work had kept him from doing much riding before hand. When we finished, it wasn’t very close at all to my best time for that route, but I felt it was every bit as fun and enjoyable as any other time I rode that route, completely because of the company. That ride was a success for me. On another ride a number of years back, I had been training really well before hand and managed to shock quite a number of other people by finishing so early. That ride was a success because I could put into play all the fitness and training I had been able to do before hand. In one more example, I started a 300km in the rain and it pretty much rained for 12+ hours. I found I had managed my equipment just right and while I was of course quite wet, I was also warm too and therefore quite happy. I considered that ride a success because I never thought of quitting just because of miserable weather, and I got out and saw things that few others were seeing that day because they chose to stay home. I love this series! Thanks for being so candid and thoughtful, Rob, and hope we get to pedal some miles with you again in the future. Exellent interview Ed. Rob has a great perspective on randonneuring. Great interview, Ed. I look forward to meeting you, Rob. My sister lives in Mill Valley and I owe her a visit. I’ll look at the calendar and see if there’s a way to pack up my bike and take in one of your SF brevets the next time I’m out West. Hi George. Having riders from around the country come do our brevets is a real kick. Since I’ve been RBA we’ve had riders from Alaska, Washington, Oregon, Arizona, Nevada, Idaho, Utah, Colorado, Texas, Minnesota, Virginia, Maryland, New York, Massachusetts, plus British Columbia and Ontario in Canada, and from Surrey, England. We have one more brevet this year, then a bunch next year. Please do come join us. ← Build a bicycle, boys! The Rivendell SimpleOne.